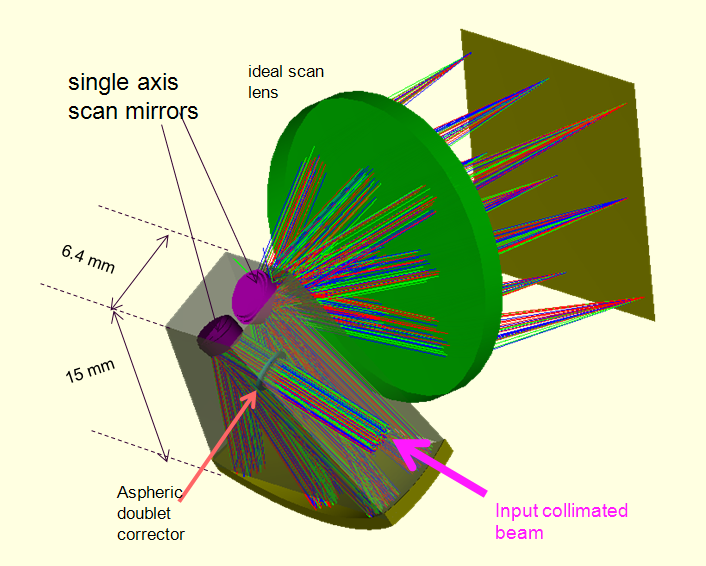 A simple, all reflective, diffraction limited, color corrected, beam relay, capable of large scan angles and large deflecting mirrors. Two dimensional beam deflection is often required in medical laser scanning systems, laser marking systems and 3D printer. 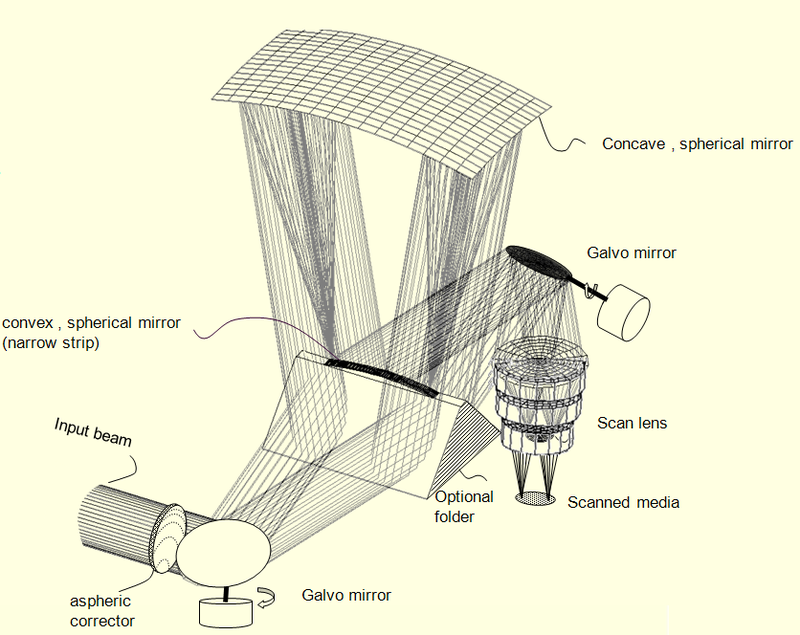 Commonly two linear galvo mirrors are used for their large apertures and scan angles performance. The galvos are placed at the vicinity of the scan lens entrance pupil with a “displacement distance” separating them. This distance limits the scan fields and/or reduces the effective aperture of the scan lens. 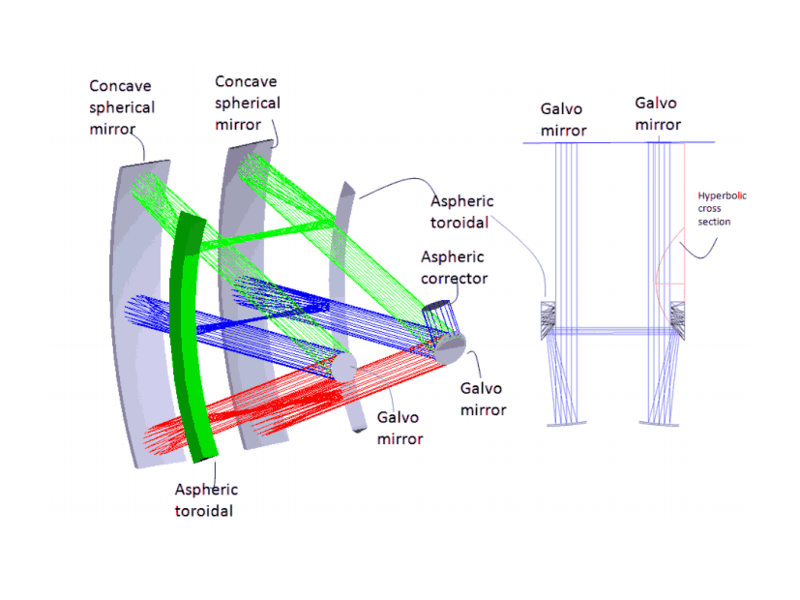 The beam relay shown essential removed the “displacement distance” by relaying one galvo mirror onto the other. The above relay focuses the laser beam on the convex mirror. Another modification of the relay is shown bellow where the beam is focused instead in mid air. This is useful when high power laser is used as in laser markers or 3D printers, and there is potential for damaging the convex mirror. This design is covered in US patent 8,531,750 and is available for licensing.